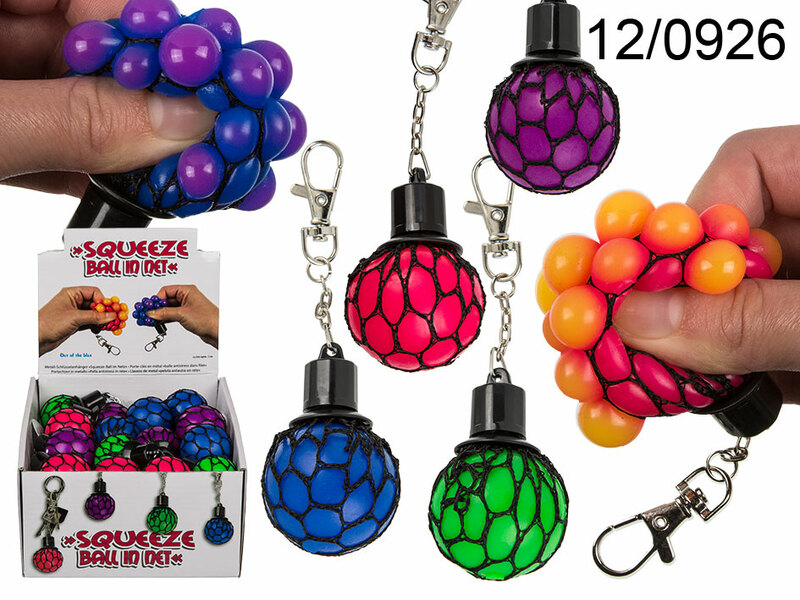 Stress ball in a net on a keychain. The ball is literally squished through the net and resembles a juicy bunch of grapes. Casual promotional item for everyone.